Dr. Milton Grin has built his career and his reputation by taking pride in the care he provides, not only for his patients' vision, but for their well-being. Dr. Grin earned his Bachelor of Arts and Doctorate of Medicine degrees from the University of Missouri's six-year intensive program, here in Kansas City. He completed his medical internship at Saint Luke's Hospital and his ophthalmology training at the Eye Foundation of Kansas City, where he served as chief resident. Following his residency, Dr. Grin served on the faculty at the Eye Foundation, training residents in the art of cataract surgery and helping prepare them for their board studies. Dr. Grin soon realized that he desired to have his own private ophthalmology practice, and he established Grin Eye Care in 1989. Dr. Grin has been actively involved in refractive surgery for more than 20 years. He is specifically passionate about LASIK, which was first conducted and patented the year he opened his practice. His dedication to continuing education has kept him on the forefront of refractive surgery technology, and he operates using the state-of-the-art technologies of the VISX Star 4 Eye Tracker Laser system with Wavefront capabilities. 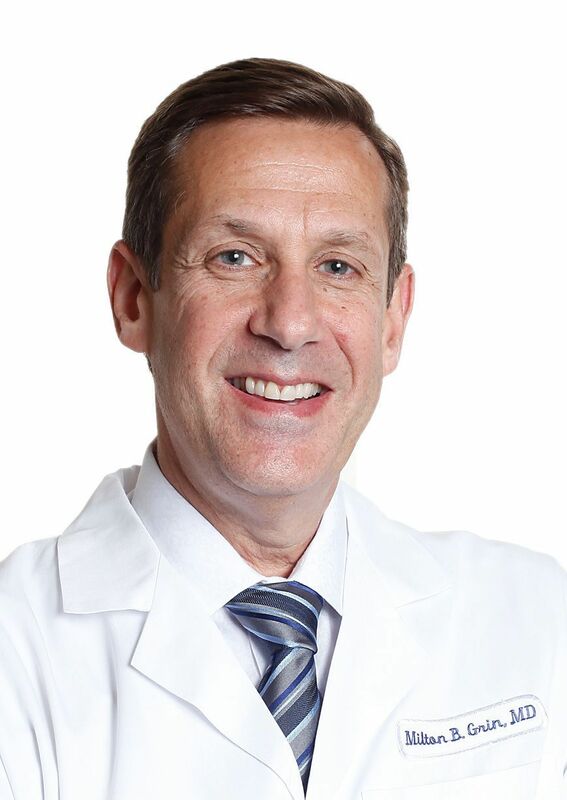 Dr. Grin understands that every person and every case is unique, and he uses his experience and knowledge to evaluate whether refractive surgery will meet the needs and the lifestyle of each of his interested patients. His patient's satisfaction with their surgical outcome, as much as his expertise, have earned him a reputation as a leader in the LASIK industry. In 2015, Dr. Grin launched his own line of eyewear, MILTON. The frames are completely hand-assembled in the United States and are available in both of our optical locations. Ophthalmology is a passion Dr. Grin shares with his wife, Dr. Trudi Grin, a pediatric eye surgeon. Together, they have dedicated themselves to medicine, continuing education, community outreach, and medical missions. Drs. Milton and Trudi Grin have traveled world-wide, performing surgeries for those who are less fortunate and instructing international physicians in the latest surgical advancements. With all these activities, the Grins also share an amazing sense of family with their three children: Benjamin (a physician specializing in internal medicine), Cara (a teacher at KC's Children's Center for the Visually Impaired), and Andrew (working in clean energy technology).